Now that is much more my speed! Problem now solved. Thank you for the lightning fast reply!! P.S. Maybe someone could add that link to the top of the first post here for amateurs like me? I’ve just tried installing two extensions, but neither seems to be working. See screenshot below. Any advice? Thank you!! @Jan_Koudijs I followed the uninstall/prepare for re-install instructions and did another attemp today. There were some warnings, maybe related to the OS, but Roon Extension Manager is now running on my backup-server (HPE ProLiant DL20 Gen10 running Windows Server 2016). 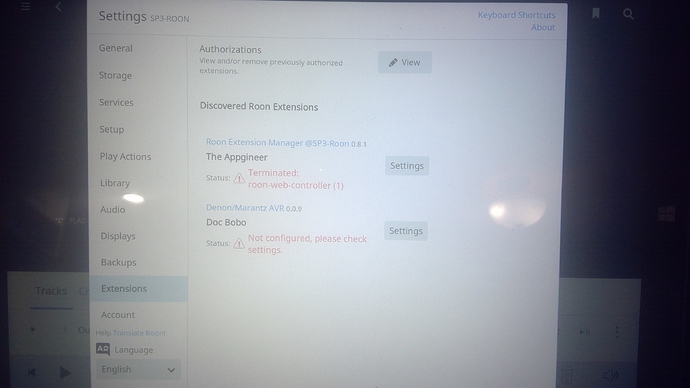 Thanks for the Roon Extension Manager and for the support! To get to know what is going on it would be helpful if you enable logging for the Extension Manager and the Denon extension. You can read about logging in post 184. With logging active wait till the problem occurs, upload the log files somewhere and share a link. Are you trying to reinstall? If so, you might try the reinstall steps first. Till now the Extension Manager only supported extensions that are Node.js based and installable via npm (cross platform). Not all available extensions are created this way, meaning that only a subset could be provided to the user. To improve the base of extensions that can be included in the repository, I’ve now added Docker container support to the Extension Manager. For the look and feel I tried to make the support for both types as similar as possible but there are also differentiating features for both types. The table below shows the details from an extension perspective. An extension can support both types so that the best fit for the environment can be picked. An example of this is that containers will be preferred if the Extension Manager runs in a container itself. As can be seen above, Docker container support requires a Linux system, it will not work with Docker for Windows or Mac. This is caused by the virtual networking used by the included virtual machine, this type of networking is not supported by the network service discovery method used by Roon. 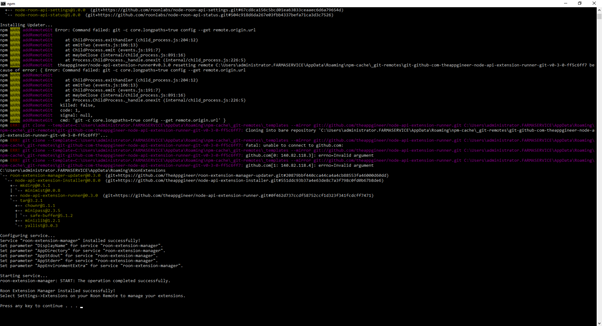 Install Docker via the package manager of your distribution or get it here. At startup the Extension Manager will detect the Docker installation and makes the additional extensions available. The more powerful models of the Synology and QNAP NAS’es have container support. 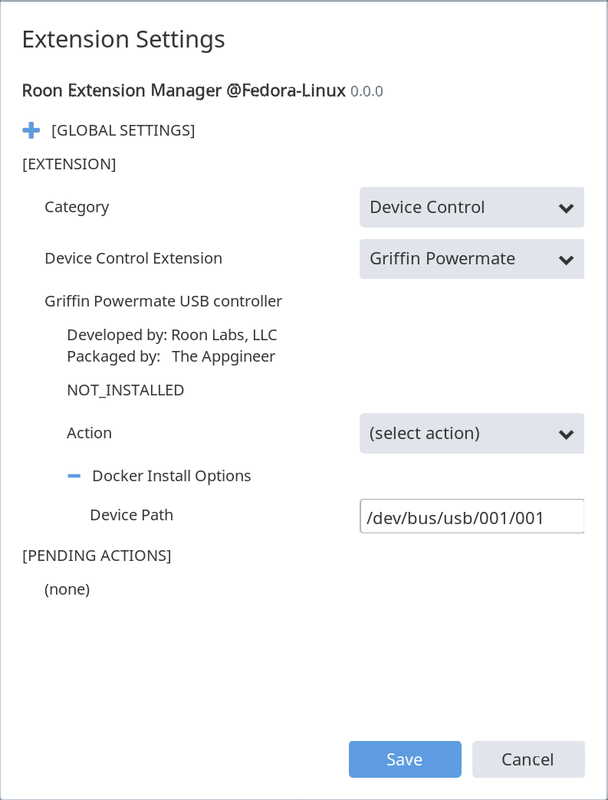 By creating a container for the Extension Manager and passing it the path to the Docker socket it will make the additional extensions available. There are different Pi distributions that let you run Docker containers. Maybe the easiest in use is DietPi because it let you install both Docker and the Extension Manager via the dietpi-software tool. 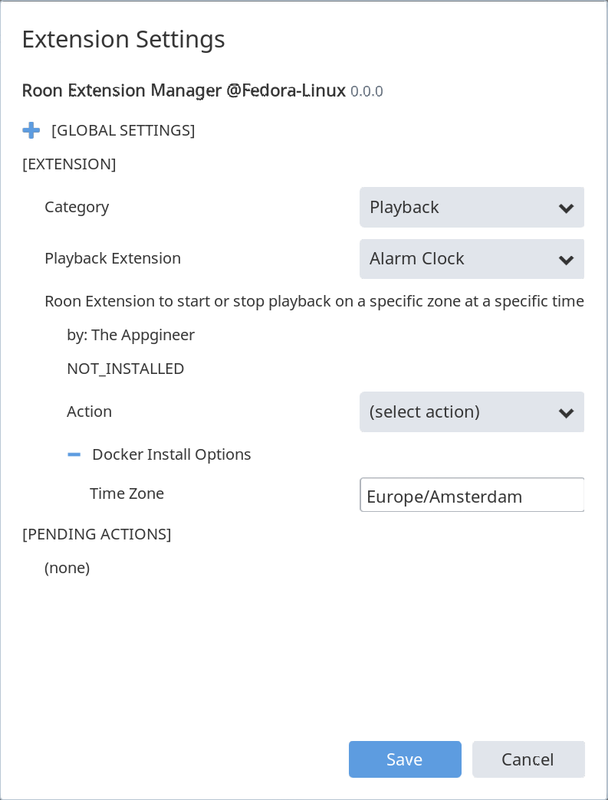 At startup the Extension Manager will detect the Docker installation and makes the additional extensions available. If you have auto update enabled then the Extension Manager should be up to date right now. Otherwise it is possible to update manually via the Settings dialog, select the Extension Manager from the System category and perform the Update action. As this is the biggest change I released since I’m running this project, there might be room for improvement. Let me know how this works out. So what does the Docker container support bring? If auto update is enabled then the changes will be pulled in the next time the update is performed. It is also possible to update manually via the Settings dialog, select the Extension Repository from the System category and perform the update action. This extension needs to know which USB port the Powermate is connected to, you provide the device path in the Docker Install Options before you select the Install action from the Action pulldown.